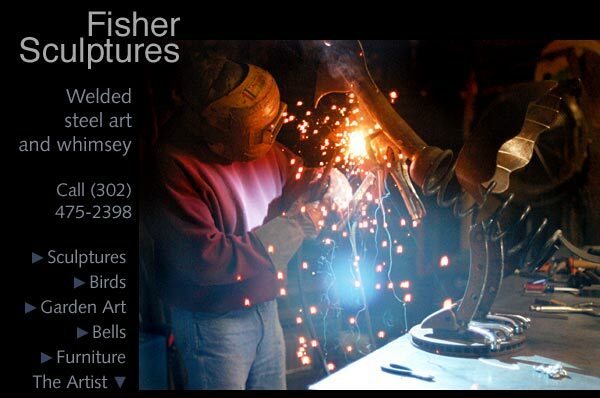 Fisher Sculptures offers welded steel art and whimsey for the house, office, and garden. Specialties include birds and bells. To learn more about Phil's solid steel sculptures or to arrange a visit to his private gallery, please call (302) 475-2398. Click here to see the websites of other artists in Arden, Delaware.